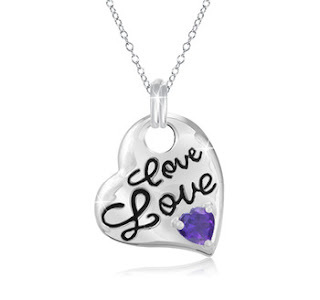 Wow, head over to Shadora to score this beautiful amethyst and genuine sterling silver love charm necklace for only $5.99! This deal includes FREE shipping and a gift box. This has a list price of a whopping $99.99! I've ordered from Shadora quite a few times and their jewelry and quality is wonderful. Freshwater Pearl Stud Earrings for $0.99! Natural Freashwater Pearl Stretch Bracelets for $1.00!